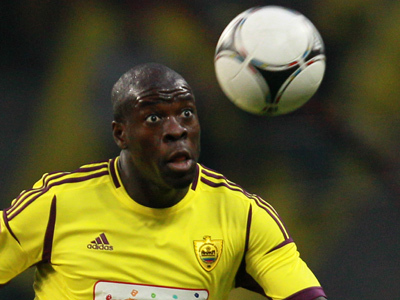 Anzhi defender Chris Samba says no racist abuse will dampen his desire to show his best form for his new club. The Congolese footballer was racially abused during Anzhi’s away match at Lokomotiv, when a banana was thrown at him from the stands. “I am thoroughly enjoying my time in Russia and although I was, of course, angry at the racism incident, along with the rest of the football world, racist issues here are no different to what I have experienced in other countries,” the 27-year-old added. Former Blackburn defender Samba moved to Russian side Anzhi Makhachkala for a reported sum of $19 million during the winter transfer window. It’s not the first time an Anzhi player has been racially abused as Brazilian legend Roberto Carlos had bananas thrown at him twice last year. The series of shameful incidents forced the Russian Premier League to step up their efforts to kick racism out of football in the country.